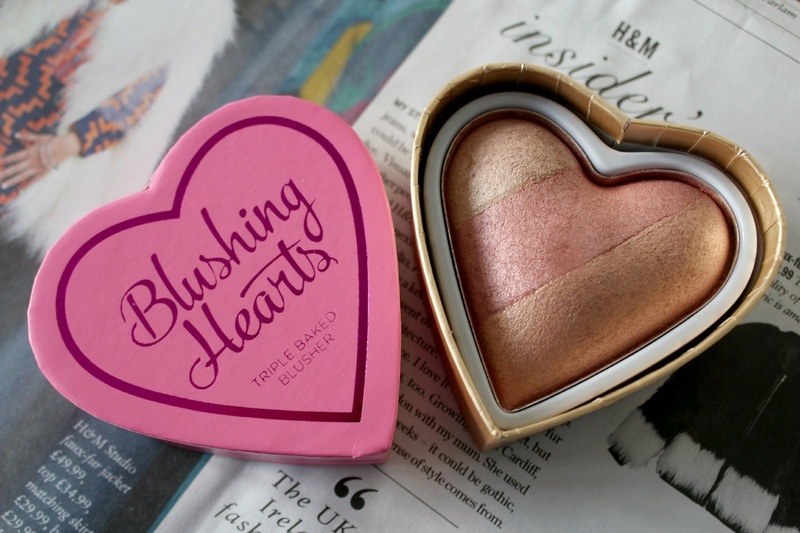 As promised in my Make up Revolution hamper prize post I am bringing you a full review of these rather gorgeous Blushing hearts! 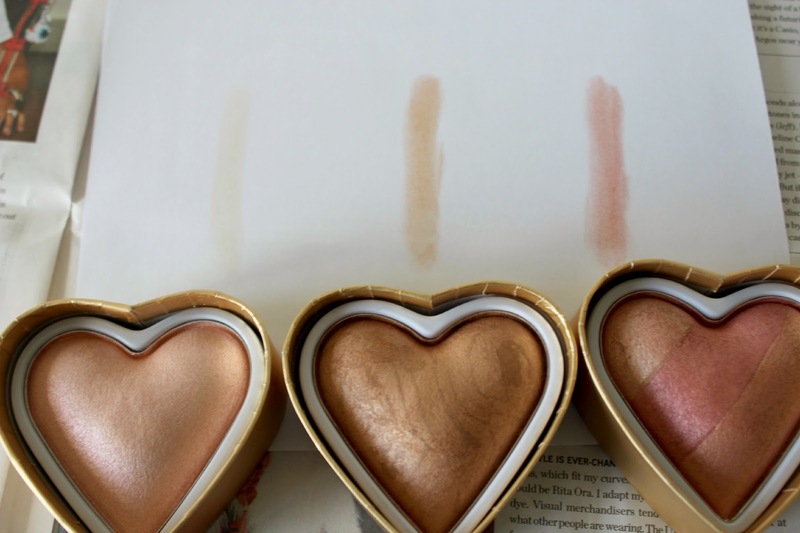 Makeup Revolution sell six different kinds of blushing hearts which I’m adamant on owning all of them! After only being introduced to this brand a few weeks ago it has certainly transformed my life, I cant seem to find any fault with the price, packaging or quality, there really is no catch with their products! As I’ve mentioned before in the previous post the packaging just does it for me! 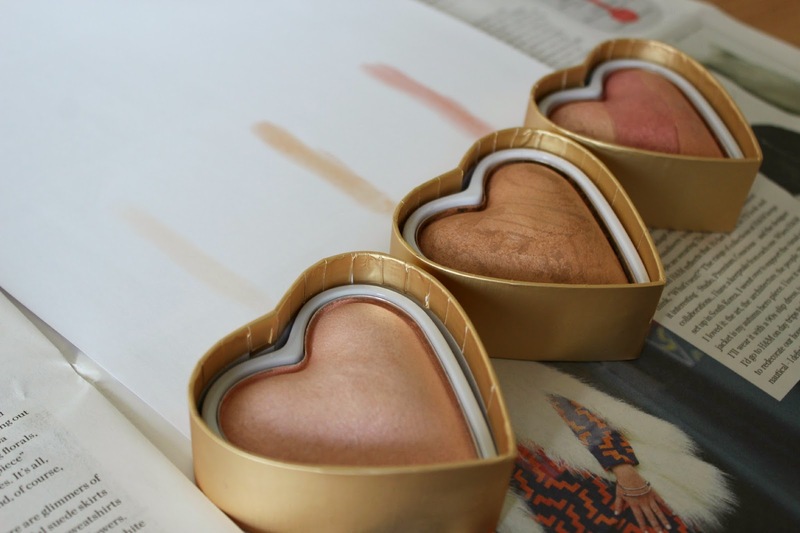 Its so beautiful and eye catching and even the heart shape for the blushers is just genius and the compact size is perfect for storage. I have only been wearing a highlighter since last year and have been wearing the sleek face contour kit one ever since. I was excited to try this and the highlighter is a bit pinker but not as sheer and white as the one I wear now, you can tell more on the swatched image below what it looks like. I usually apply my highlighter with my fingers as it’s much easier to target specified areas than with a brush. I find that its quite difficult to get much pay off with this highlighter with my fingers though, I think this will probably get easier once the product has been used more. However, I do really like the tone of this highlighter as I find some of them are far too shimmery, so in that respect I really do like it. How do you all apply powdered highlighter? I would love to know some tips! I am a prolific bronzer user and will use anything that might help me achieved that sun kissed look. 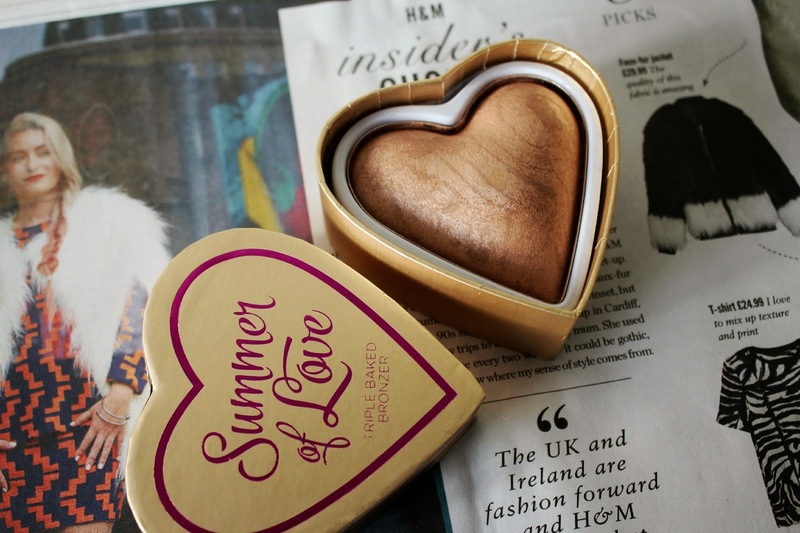 I love the colour of this bronzer as it sort of already has an inbuilt highlighter as the colour is very shimmery once applied. 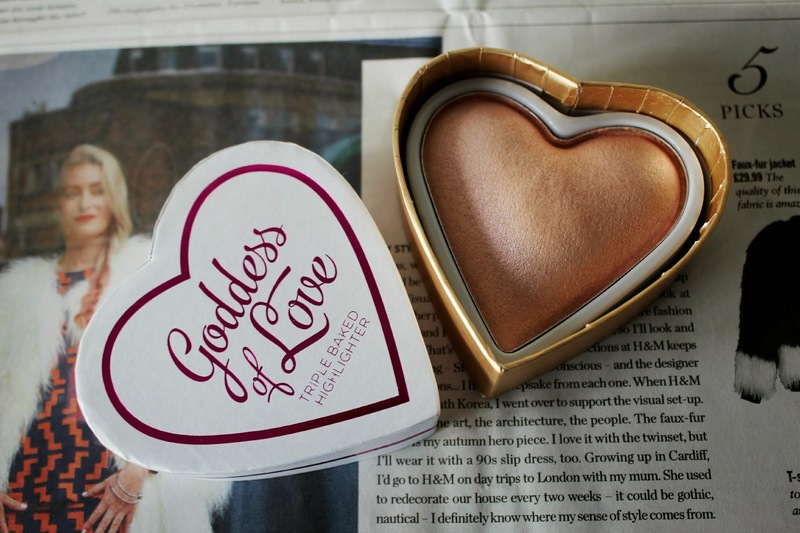 For me its the perfect colour for bronzer as it’s not to dark and I prefer to build the colour up gradually. I usually pop this over the top of some blusher on my cheekbones, jawline, sides of my nose and around my hairline with a contouring brush. I have never been much of a wearer of blusher as I always have ridiculously red cheeks anyway! Blushers which are just one block colour really scare me too as I always find myself putting on way too much than I need. This triple baked blusher has converted me! The 3 colours blended together don’t make the colour as scary or pink. The initial swatch of colour does give a lot of pay off but I am wary of this and usually blow off the excess powder on the brush. I use some of this lightly with a brush on the top part of cheek bones as it really helps to contour my face, I then follow this up with some bronzer on top which helps the blusher to blend in even more. Swatches on my arms never end well,. So swatching out onto a pice of paper really does show you how the colour exactly comes out and before its blended into my skin. As you can see none of the colours are too bold or bright, for me it really is love at first swatch. For only £4.99 each the quality and look of the product is fab. The colours are so wearable and they last on my skin all day. 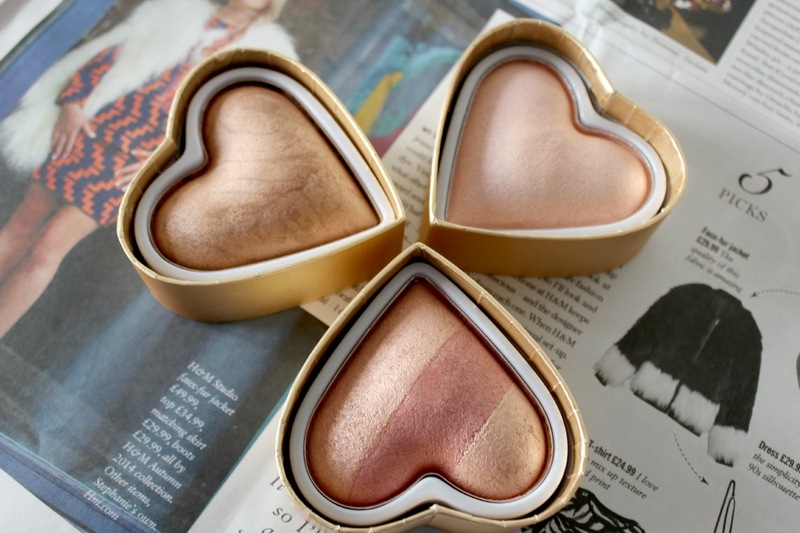 My favourites are definitely the triple baked bronzer and blusher as they work so well together. If you’re looking for new contouring products in your life, these might be what you’re looking for! I have not used my sleek contour kit since as I much prefer the blended colours than just one block of bronzer or blusher. 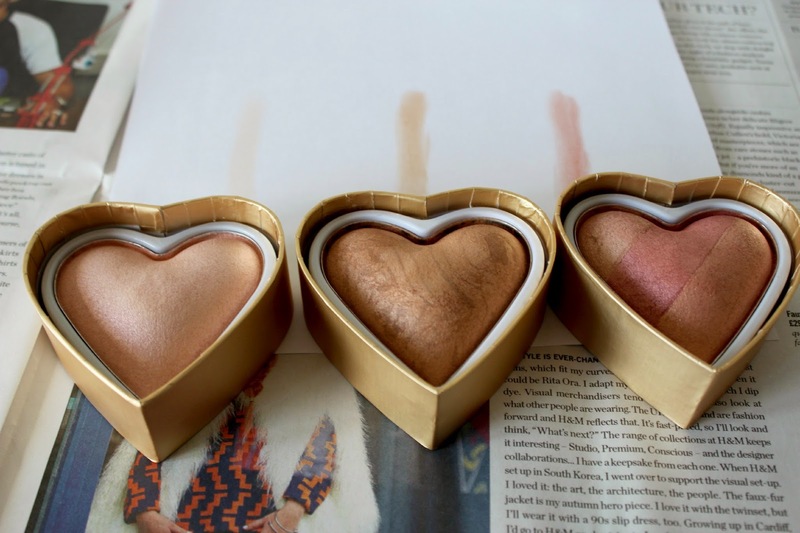 As I mentioned at the start Makeup Revolution sell a further three blushing hearts which look just an amazing as these, they are definitely going to be on my Christmas list this year! What do you think of Makeup revolution? Have you tried these before? What do you think of the blushing hearts?